The digital team at CommLinks launched our newest client website for the Whisper Rock Estates Community Association (WRECA) at http://wreca.com. The site actually hosts two sites – a public site at wreca.com, and a private residents-only, password-protected site at wreca.com/residents. Although there is a ton of valuable content, including fun resident photo albums, on the private site that is inaccessible to anyone but residents, the overall site design is similar to the public site which is available for anyone to see. Our Web Designer Blake Found did a masterful job of incorporating an earth-tone desert palette into the design without leaning on the cliché purple-mountain, green-cactus and yellow-flower type color scheme that so many designers of desert sites feel they need to use. Elements of the “badges” that he designed (visible on the landing page) are going to be used in other material at Whisper Rock. 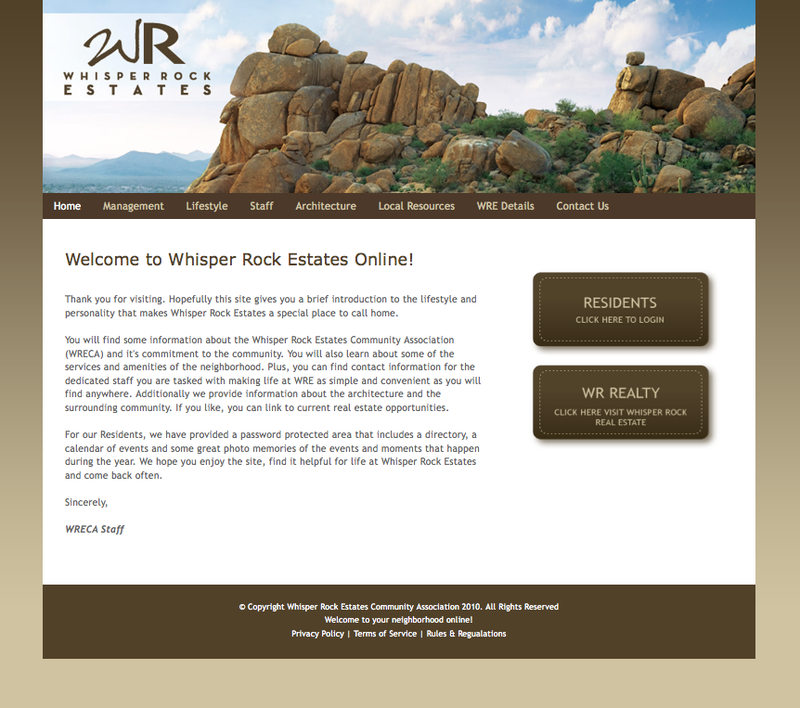 Related websites we are developing are on the horizon, including Whisper Rock Golf and Whisper Rock Realty.